Festicket is Europe's leading marketplace to discover and book music festival experiences, including ticket, accommodation, transport, etc. 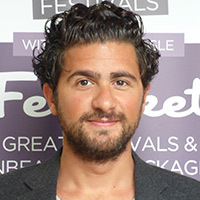 While Festicket CEO Zack Sabban was a successful investment banker, he traveled the world to fulfill his passion for live music. After attending countless festivals, Zack realized the need for a music festival community website and founded Festicket in late 2012.